How do find this video? Is this funny or Not. 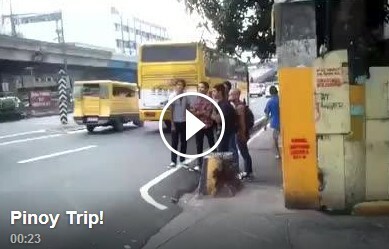 One daughter of a Jeepney driver felt hurt with this video. @Glad My father is a Jeepney driver, what would they feel if they are the driver, working hard and taking their life at risk day and night and be prank like this. It hurts me so much because i am a daughter of a driver.